Oftentimes, I poke fun at amateur commuters. I realize, though, that any professional was once a newbie. I'm going to share a story about a rookie commuting mistake I made when I first moved to the suburbs after many years of city life. I'd been out to dinner with friends in Manhattan, and got on the train to go home. It was really late, and I had a few drinks earlier. I was pretty tired when I got settled on the 55 minute local train. I closed my eyes to rest. Can you guess what happened next? I slept like a baby. All the way to the train's final stop. In Ronkonkoma. 25 miles east of my intended stop, Hicksville. The conductor had to wake me up to exit the train. It was 2 AM, and there weren't any taxis around to get me home. I walked off the platform to the station house to see when the next train was. 4 AM. What was I going to do for two hours? I considered several options. I could call my wife. Um, really bad idea. At the time I had one child, and he was about 3-5 months old. I don't think she would wake him, dress him, and pack him up in the car to come get me in the middle of the night. Waking a new mother who desperately needs sleep to give you a ride when you've been out having fun is not the route to marital bliss. I'd have to find another way. I could call a taxi. There was a taxi stand, but no one was there. I called several taxi companies, but none had any drivers available who could make the trek. I could call my in-laws, they live nearby. Forget you even read that. I was out of luck. Weather wise, it was comfortable outside and I took a walk looking for a place to pass the time. There was a 24 hour coffee shop nearby. I sat down and ate something I probably shouldn't have eaten, like a big bakery cookie wrapped in cellophane that had been sitting for days. I had a conversation with a guy who worked there, and he told me that my situation happens all the time. Made me feel a bit better about my predicament. First world problems. Two hours later, I'd read all the newspapers they had at the coffee shop, I'd played the "Snake" game on my phone for a solid 30 minutes. If you don't remember the game, here's an image to jog your memory. The Nokia "Snake" game. Kept me busy. Finally, the next westbound train arrived, and I got on. When the conductor came to collect my ticket, I sheepishly told him I slept through my stop two hours earlier and was heading back. He gave me a knowing smile and said "have a nice day." I learned that conductors often let that situation slide. These days, I set my phone alarm to go off five minutes before arrival, when I know I'm tired. Live and learn. Or don't learn, in which case, I'll ask you to please say hi to the man at the Ronkonkoma 24 hour coffee shop for me. He'll have newspapers ready for you. I'd skip the cookie. Someone once told me that if a street performer made you stop and watch, you owe him a buck. I like to think there's an analogous rule on the Internet. If you read this post and it made you smile, would you give the blog a Facebook "Like?" It's here on the page, you'll find it at the bottom of the screen. How Many Ways Can I Be Late? 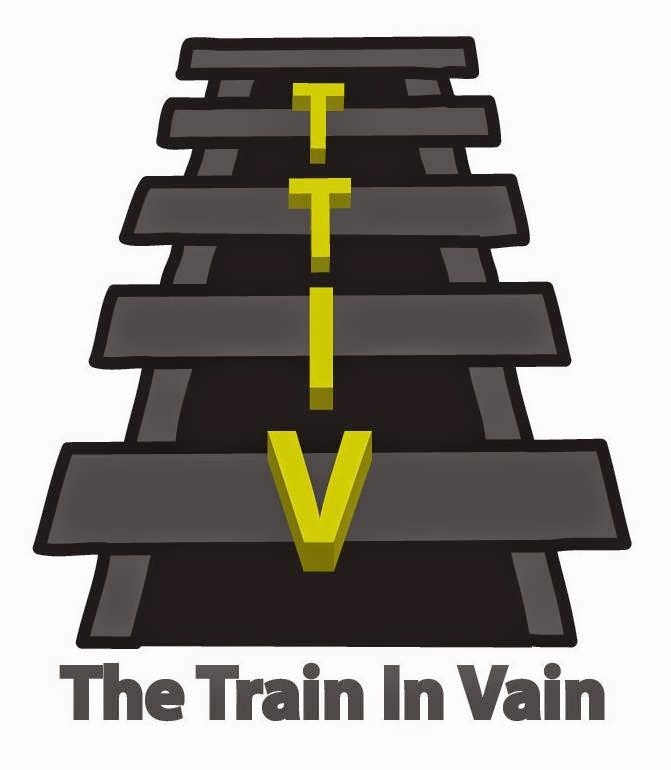 TheTrainInVain Has a New Domain!